Many homeowners and businesses feel that not having a security system is akin to leaving their keys in a vehicle. Many believe it is an open invitation for criminals. The number of security cameras purchased over the past decade has dramatically increased. 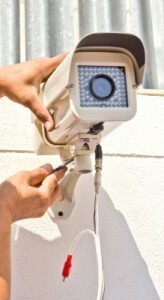 A Cctv home security system can deter crime and will provide evidence in the event of a break-in. In fact, many insurance companies offer discounts to homeowners that install a home security system. The next step is choosing a system and properly placing and setting up the system. A closed circuit television system or CCTV system is a camera or a series of cameras that transmit a signal to a dedicated monitor or receiver. Typically, the system has the ability to record and store images, as well as, providing real time viewing. The number of cameras on the system depends on need and the system itself. Unlike television broadcast signals, a CCTV system is not open to public viewing; it is on a closed circuit. The cameras can be hardwired or wireless and you can use Internet protocol or IP cameras, as well. Generally, IP cameras are used when multiple individuals across a network need access to the images, or the number of cameras needed is significant. You can have your system professionally installed, or as a homeowner do it yourself. For professional installation, contact a licensed and bonded security company. Many states require special licensing for security companies. You as a homeowner should perform your due diligence before choosing a company. The next step would be a security evaluation by a trained professional. Typically, the professional will be in the employ of the security company. The evaluation is conducted on site by one and possibly two specialists. The experts generally are not the ones that install the equipment, but provide a schematic for the installation technicians. You should be present during the evaluation and do not be afraid to offer your input, after all, no one knows your property better than you do. 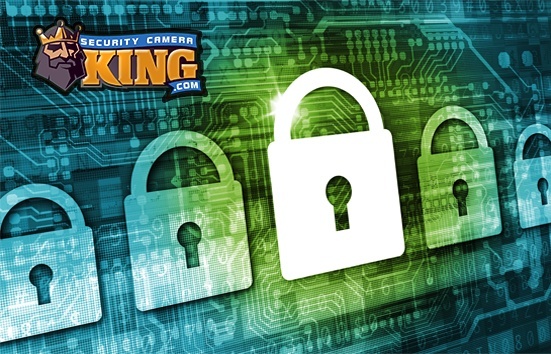 Cctv home security systems like anything else have various models and price ranges. The experts will discuss camera options and pricing. The options and models needed depend in large part on the property size and your particular requirements. For example, you may have a security gate, gatehouse and outbuildings that require coverage. You may have small children and often have a babysitter come to the home. All these particulars must be discussed with the security expert. Keep in mind if you have wireless system installed, relocating any camera is simply a matter of unplugging it and moving it to the desired location. The camera, as long as it is within range of the receiver will transmit from anywhere on the property. Cameras that pan tilt and zoom are popular because they provide the most coverage. By using these cameras, you can reduce the overall number needed. Panning is the horizontal movement and tilt is the vertical movement. Zooming is the camera’s ability to expand or shrink the coverage area. Auto tracking allows the camera to record and follow an object, while using zoom to keep the object within focus. You can control all camera options by using a control board and joystick, the digital video recorder or DVR or by using commands from your computer keyboard. Any exterior cameras should have night vision technology. How well they record in low light is dependent on their lux rating. Lux is simply a measurement of light intensity and how well the human eye perceives it. A camera that can record in low light has a lower lux rate. The typical suburban street at night has a lux rate of 3.0 to 3.4. A dark night in a rural setting with just starlight and no moon has a 0.002 lux. Use these ratings to choose what camera would work best for your situation. Cameras being placed along the property’s perimeter would require a low lux. There would not be lighting from street lamps and any moon might possibly be blocked by trees for a portion of the night. There are infrared or IR cameras that are available for use with a Cctv home security system. Infrared cameras can detect light that is invisible to the human eye. Objects to include humans and animals emit energy or heat that is detectable by the camera. The camera then converts the energy or radiation into a viewable thermal image. The IR cameras can record images in absolute darkness where the lux rating is near or at zero. Places where an IR camera would be used are a closed outbuilding without windows, or wooded areas where the overhead foliage blocks any moon or starlight. Hardwired cameras need a dual cable that provides power and allows the camera to transmit its signal. Each camera needs its own cable and that cable must be connected to the receiver or DVR. This means in most cases, the cable will need to be fed through walls and even possibly buried under ground. Once mounted, relocating the cameras is more difficult. Exterior cables will need to be protected against tampering. Large estates with security gates and gatehouses may benefit from hardwired systems. The cameras would be permanently mounted in specific locations. Cameras can be used at the gates to screen visitors. Having two-way audio capabilities allows someone in the house to communicate with guests or visitors, while viewing them in real time. The camera should be housed in such a manner to prevent tampering. Having a camera built into a brick pillar would be one way to ensure no one has access to the camera housing. Certain motion-activated cameras can detect when someone attempts to shroud the lens. An alert would be sounded indicating the lens has been covered. Cameras can also be located to monitor vehicle traffic before it arrives at the gate. Pan, tilt and zoom cameras would be ideal for this location. Cameras can be pole mounted around the perimeter. The pole would contain the cables and then run underground using the proper conduit as protection. Pole mounted perimeter cameras should be all motion activated with pan, tilt and zoom. They should be able to record in low light and in some cases auto tracking cameras should be used. The cameras would be controlled from a monitoring room. Each camera can be operated independently by joysticks, the command panel on the DVR or by using a home computer. Wireless cameras can also be used. However, supplying each one with power along the perimeter can be problematic. In addition, the wireless signal is limited in range and over longer distances is more susceptible to interference. Hardwired cameras receive their power and transmit their signal through the audio video cable that is physically attached to the receiver. A high quality wireless Cctv home security system can transmit up to 300 feet under ideal conditions. This range is more than adequate for most homes. One camera is typically located over the front door and one covers the backyard with one or more inside the home. One may act as a nanny cam. The camera monitoring the front door should be a dome-mounted camera with pan, tilt and zoom with night vision. The dome mount allows for 360 degrees of coverage and owners can control the tilt and zoom from inside the home to screen visitors. One camera should also be located to monitor vehicles or individuals walking up the driveway or sidewalk leading to the front door. Locate one camera so it is covering the backyard and it should be motion activated and have night vision capabilities. Ensure the backyard camera is located so it covers anyone jumping the fence or entering from an ally or wood line. In some cases, the backyard may require more than one camera. Position them at opposite corners of the house. Each camera transmits a signal using radio frequencies. The signal is received by the wireless receiver. The receivers can have a built in monitor and DVR. The receiver can also be connected to a home computer. Typically, a video capture card is needed to use a computer to record and view real time camera images. The cameras can be connected to a control board and operated by a joystick. The control board can also be used in conjunction with your home computer. The camera functions would be controlled by keyboard commands. The wireless systems use your home’s Wi-Fi technology. The receiver is normally compatible with most wireless routers and modems. Each camera must be configured and it is similar to how a wireless laptop computer is connected to a wireless modem or router. The system can be integrated with a home network. This allows anyone with access to your computer the ability to view the images and control the system. Your home computer can also be accessed from virtually anywhere, which would allow you to view images in real time. This is ideal for checking up on your child’s care, while with a babysitter, from your work computer or certain smart phones. Keep in mind your home computer is the receiver, recorder and controls all camera options. The computer must be properly secured to prevent unauthorized access. IP cameras transmit their signal using Internet protocol. The signal is sent over a network usually a private or dedicated network. Individuals anywhere in the world that have access to the network can view any camera anywhere on the network. This system can be used for large estates that have a security team on location. Typically, the system has 16 or more cameras. Large security operations would use an IP camera system to prevent individuals on location from tampering with the receiver or recorder. The security manager would be located off site while still monitoring all activities. The cameras usually would have two-way audio. The security manager could communicate with anyone within the camera’s range. The cameras would send all date to a centralized video recorder. This protects the data’s integrity and allows anyone with access to analyze it from archived recordings or in real time.